Irena Lasker earned a degree in Business Administration and brings a wealth of knowledge in business practices to the Firm. Her initiatives have allowed our Firm to grow into a multidisciplinary practice with a variety of complementary services. 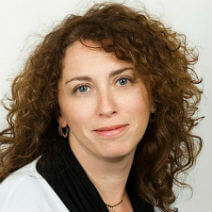 Irena has become Jane’s right-hand associate and gained an extensive practical knowledge in all immigration categories. Irena speaks English, Russian and Hebrew languages.